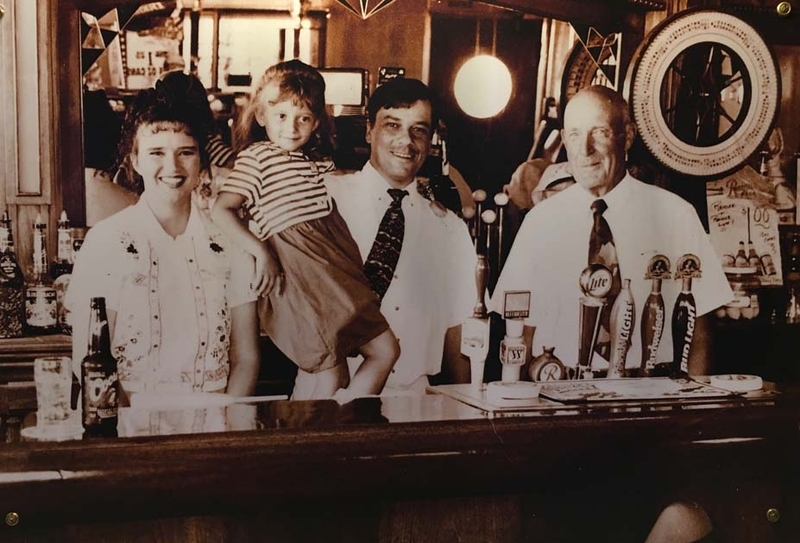 Luck and love helped restore the Club Moderne bar after a devastating fire in fall 2016. 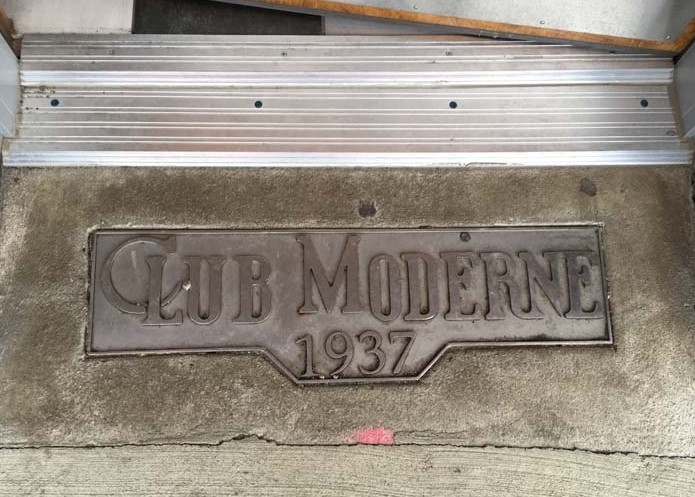 On Oct 7, 2017, the Club Moderne celebrated its 80th birthday! It was the greatest celebration since just a year ago Montanans woke up to the heartbreaking news that Anaconda’s Club Moderne had gone up in flames, just weeks after being named by the National Trust for Historic Preservation “America’s Favorite Historic Bar.” The fire stunned owners John and Stephenie Hekkel , the community and all who loved the building and had memories of engagements, receptions and gatherings in the Club. No one knew immediately whether it was possible to rebuild Club Moderne, but the Hekkels were determined. Soon reports came that seemed nothing short of a miracle – the canopy over the bar had fallen and protected the wooden bar and the décor from the flames, many of the diamond-trimmed leather booths were scorched but intact, and the company that makes the curved black and white Carrara glass on the facade could match what was missing. And so they did it. 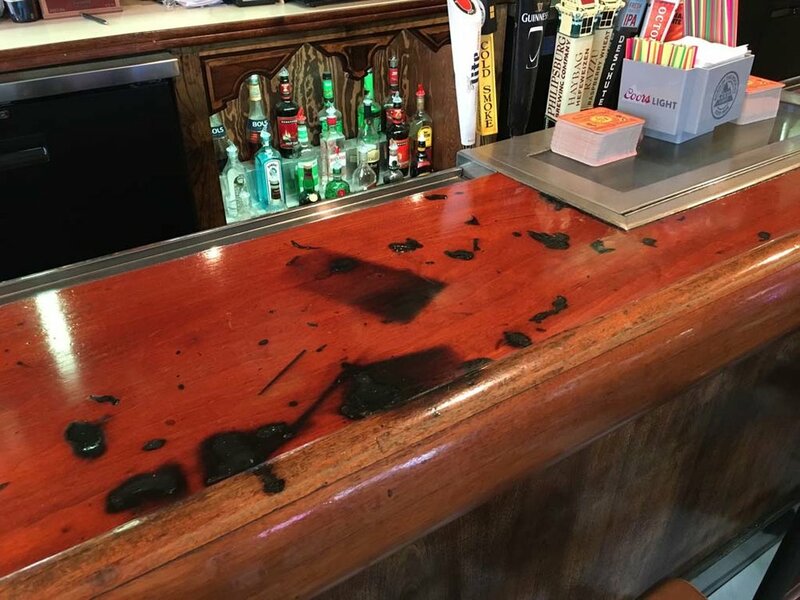 The Hekkels teamed up with restoration contractor Dale Harris, and began the painstaking process of repairing things that were fixable and reproducing what burned. They put everything back to as original a condition as possible, in a timeframe that seemed impossible. And today, the Club is again the social center of a town that knows and believes in its history and never gives up. While the Club was restored in part with fire insurance funds, it would not have been brought back without many donations of time and cash from the community, as well as a grant from the Montana Fund and the Daniel K. Thorne Intervention Fund of the National Trust for Historic Preservation. An outpouring of support for reconstruction of the Sperry Chalet raised over $100,000 in about one month. Our hearts were in the Flathead this summer where wildfire loss of the beautiful and much-loved Sperry Chalet was met with sadness. The news spread that Sperry had burned, followed by an outpouring of memories by people near and far, remembering that very special place. And once again, the seemingly miraculous reports came in. 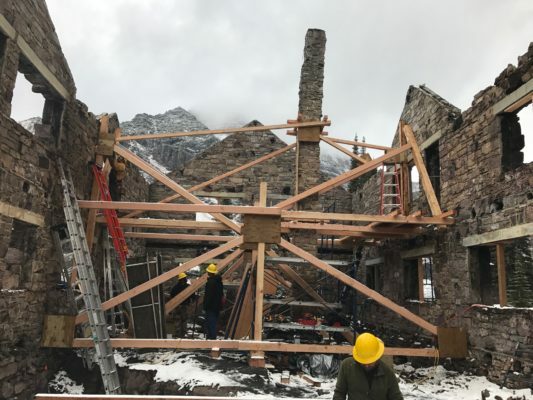 The stone walls were still standing and sound, Glacier National Park managers had pledged to rebuild, and the Glacier National Park Conservancy stepped up to raise the money needed to stabilize the walls to withstand the long cold winter. In Montana, every fire season brings stories of properties in danger and this year was a bad one. We are so grateful to everyone – from park staff and fire fighters who tried to protect Sperry Chalet to the thousands more who work fire lines throughout our state every summer. In Montana, firefighters at every level stand ready every summer to extinguish fires and prevent tragedy. They do this with knowledge built across decades and awesome, selfless courage. We offer our deepest thanks for their bravery in the face of danger. Between lightning, wind and drought, the elements often stack up against us. Practically overnight, with no sentimentality, Nature swept in, destroying even places we hold most dear, reminding us just how vulnerable we are. This year, given forest fires in the west and hurricane flooding in the south, there has been a reckoning of enormous impact. A reminder that even the sturdiest stone building or the biggest cities can be there one day and gone the next. But in the aftermath it is sometimes possible to repair or rebuild, and that rebuilding itself becomes a chapter in a long story that tells of the resiliency of our people.